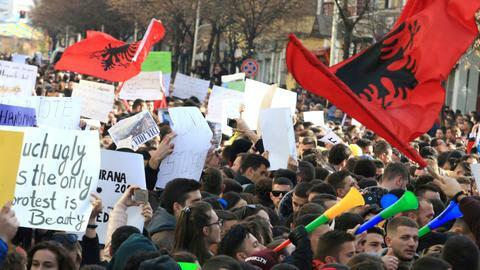 Thousands of Albanians have been protesting about the connection between politicians and organised crime. 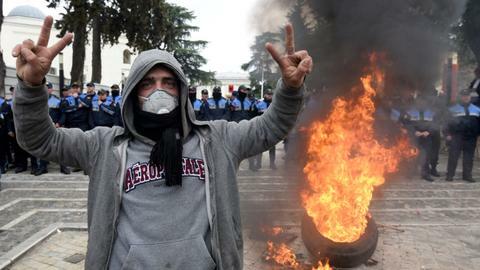 For almost three decades Albania has been adapting to post-Communist rule. Gradually corruption has seeped into almost every strata of society. Albania has a reputation beyond its borders for trafficking people and drugs. Smuggling has become the standard practice since the 1990's. People also complain about tendering for contracts and the construction sector especially ‚and are suspicious of close cooperation between some politicians and organised crime. Some contracts are awarded without competition to a small influential group. The economic damage of corruption in the past five years according to Albania's main Audit Office is $4.2 billion. The equivalent of the government's budget for an entire year. TRT World’s Iolo ap Dafydd reports from Tirana.